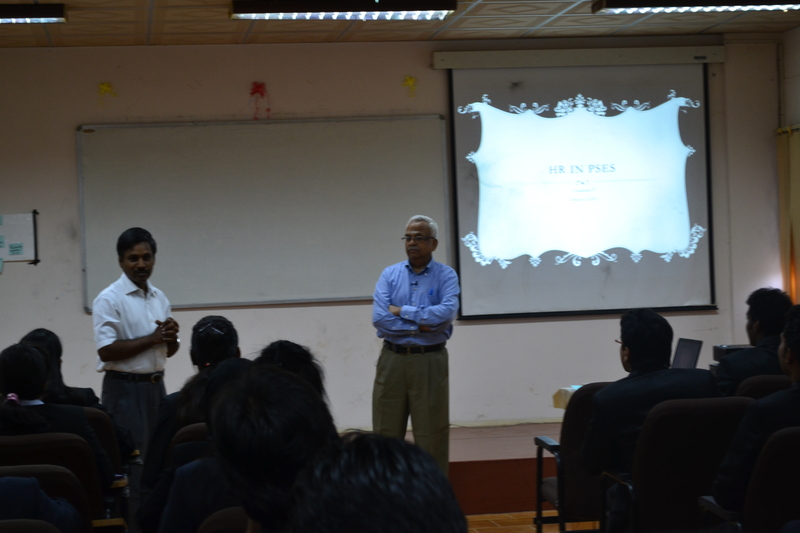 Guest Lecture on Industrial Relations – Mr.Naina Raj @ DoMS NITT! When Mr.Naina Raj, the HR head at Dalmia walked in, the students of DoMS instantly knew that it was going to be one startling experience. It is not every day that you see a tall, warm and friendly HR head with almost 30 years of experience in the Industry, take such a spell binding session. The Guest Lecture on Industrial Relations, was conducted on 22.03.2016, at the Department of Management Studies, NIT Trichy. It proved to be a fruitful session, not just for HR aspirants, but all management students, since he talked about Operations, Marketing and General Management and taught the students how Human Resource plays a very crucial role in the functioning of any Industry. 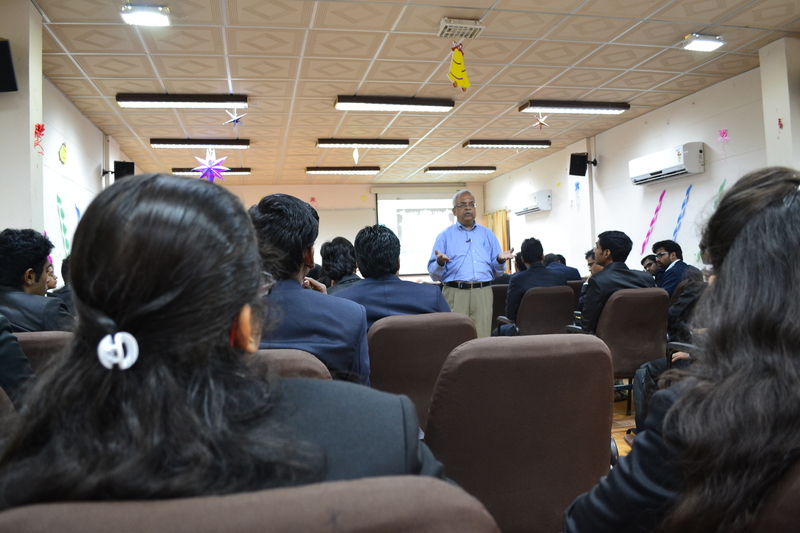 The students were captivated by the amusing way he narrated his experience over the years. He shared, with genuine transparency, his victories, his downfalls and his mistakes, and he imparted wisdom while making the students completely enjoy it. The aura of confidence and his striking personality, definitely added on to the successful interactions during the session. Although the main topic covered during the session was Industrial Relations, he exchanged valuable insights on several other topics. He churned out all the day to day challenges and obstacles he faced during the three decades he spent in the Industry, and he wrapped up the session, by talking about Employee Engagement, the power of motivation and about how ‘Attitude is Everything’. Mr.Naina Raj, finally won the hearts of all students, by giving them a motivation talk at the end of the One Day Session, and by screening certain strongly inspirational videos. HR from a different perspective!! HR is an interesting area, but not an easy one to understand it solely by means of books, so to make an industry wise, wider discussion on the subject, we had Mr. Vasudevan P., HR Consultant at IIMB, with us on 14th February,2015. He has a great deal of knowledge in this field through his vast experience in the area. The interactive session involved discussions about salary and compensation, employee working conditions, trade unions, to the various laws governing the HR domain. Practical knowledge by means of examples and real life situations made the learning more interesting. We were given various insights about how to deal in various situations and what are the basic things that one should have an idea about to face the real world scenario, be it from any bill payment to any tax benefit one has received. We thank Mr. Vasudevan for sharing with us his valuable knowledge.